Not Sleeping Well? Find the Causes of Sleeplessness. Do you spend sleepless nights tossing and turning in the bed? Do your sleepless nights affect your freshness, mood, and alertness in the daytime adversely? If yes, then you need to learn the causes of your sleeplessness and work on them to enjoy a sound, continuous sleep at night. There are numerous causes for poor sleep. The causes may differ from person to person, but, the end result of all sleep problems is the body’s natural cycle of night sleep and daytime wakefulness is thrown into disarray. Sleeplessness is followed by daytime sleepiness, low energy, irritability, inability to focus on the daily work, and a depressed mood. There are various reasons for sleep disturbances, they can be physical, medical, psychiatric, or environmental factors. Let’s have a look at them. When sugar levels are not in good control, you may experience an increased frequency of urination or night sweats. Also, diabetes may damage the nerves of your legs which may make you suffer from the burning pain, and this may make you experience difficulty in getting a sound sleep. People with fibromyalgia and arthritis pain or an injury find hard to fall asleep. People who have asthma, bronchitis, emphysema may have difficulty in falling and staying asleep because of the excess sputum production, shortness of breath, and a cough. Also, the airways may constrict during the night hours due to the muscles surrounding the airways. Hyperthyroidism (Overactive Thyroid Gland) overstimulates the nervous system making one hard to fall asleep. Nocturia is needed to get up frequently to urinate during the night time. It is a common cause of sleep loss, and it may develop due to the age or other medical conditions, such as diabetes, prostate enlargement, urinary tract infection, heart failure, certain medications (diuretics), or excessive fluid intake after the dinner. Lying flat on the bed worsens heartburn, which is caused by the backup of stomach acid into the oesophagus. So, heartburn can be another of sleeplessness. Epilepsy: Brainwave disturbances that cause seizures can also cause sleep disturbances. Parkinson’s Disease: This disease condition often disrupts sleep. The tremors and movements caused by the disorder may make you suffer from sleeplessness. Alzheimer’s disease and other types of dementia may disrupt sleep regulation and other brain functions significantly. We treat patients from USA, UK, Canada, Australia, UAE & 180 more countries. 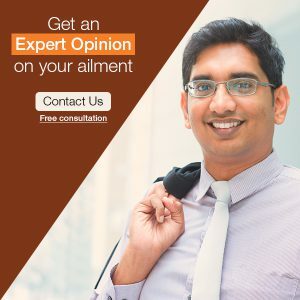 Get an expert opinion on your ailment, click here to ask Dr Shah’s team directly. B) Mental disorders, such as depression, anxiety disorder, post-traumatic stress disorder, bipolar disorder, schizophrenia, obsessive-compulsive disorder, and ADHD affect the quality of sleep adversely. C) Abuse of sedative or anti-depressant drugs can produce rebound sleeplessness. D) Poor sleep hygiene like procrastinating of bedtime, not following bed-time routine, noise or over-consumption of caffeine, and alcohol can cause sleeplessness. Also, increased exposure to the blue light from artificial sources, such as phones or computers, affects your sleep. E) Disturbances of the sleep pattern, such as working in shifts, are other prominent causes of sleeplessness. 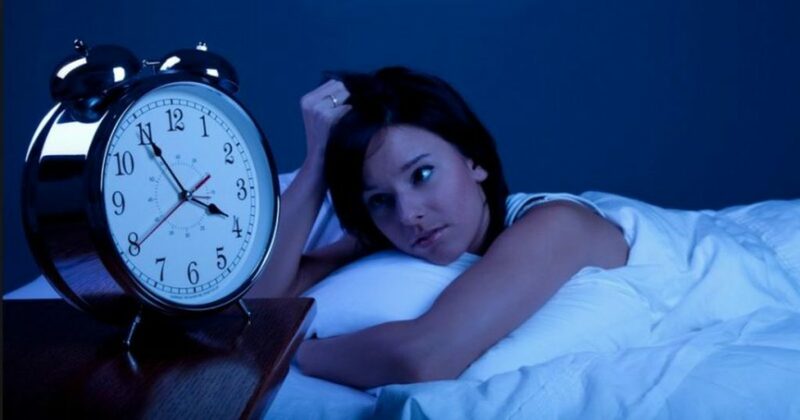 People who work at night experience sleep disorders because they cannot sleep when they start to feel drowsy. Their activities run contrary to their biological clocks. F) Certain Medications: The intake of some medicines is another cause of sleeplessness. The intake of medicines containing caffeine, alcohol, diuretics, corticosteroids, thyroid hormone etc. may affect the quality of sleep adversely. G) Old Age: People over the age of 65 years may experience some sort of sleep disorder. There are certain biological changes that make sleep more difficult as we age. It is not clear if it is a normal part of ageing or a result of medications that older people commonly use. Also read: How to prevent childhood obesity? These are the possible reasons which may cause sleeplessness. Poor sleep quality can negatively impact your physical & mental health and emotional well-being. People with chronic sleeplessness have a significantly higher risk of experiencing serious health conditions like heart disease, stroke, high blood pressure, diabetes, and depression. So, it is important to have a sound and continuous night sleep. Always talk to your doctor about your concerns, and the doctor will guide you about the appropriate treatment options and the necessary measures to be taken to enjoy a sound and continuous sleep.